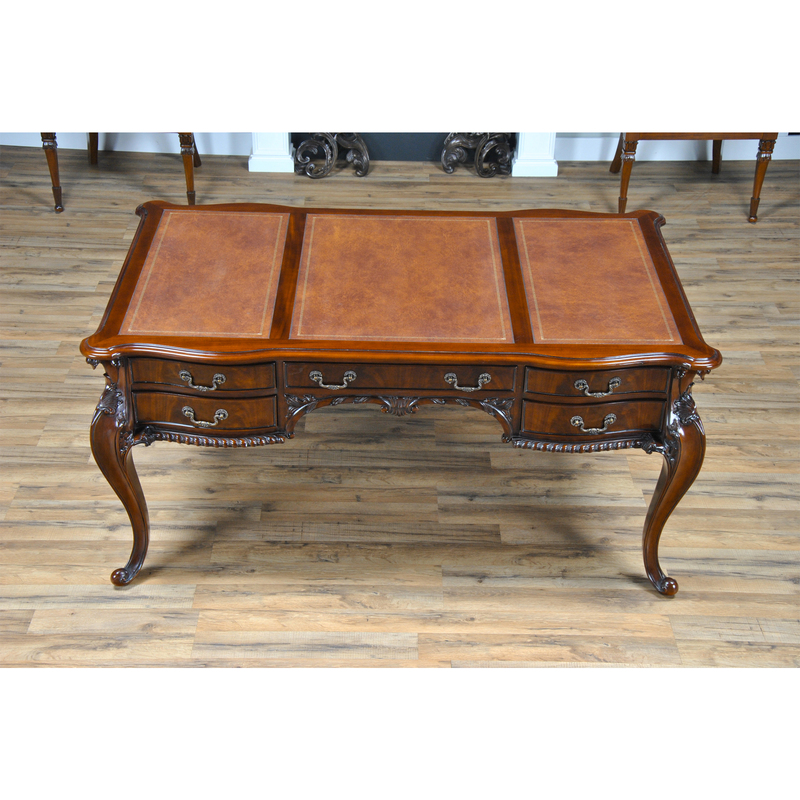 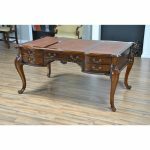 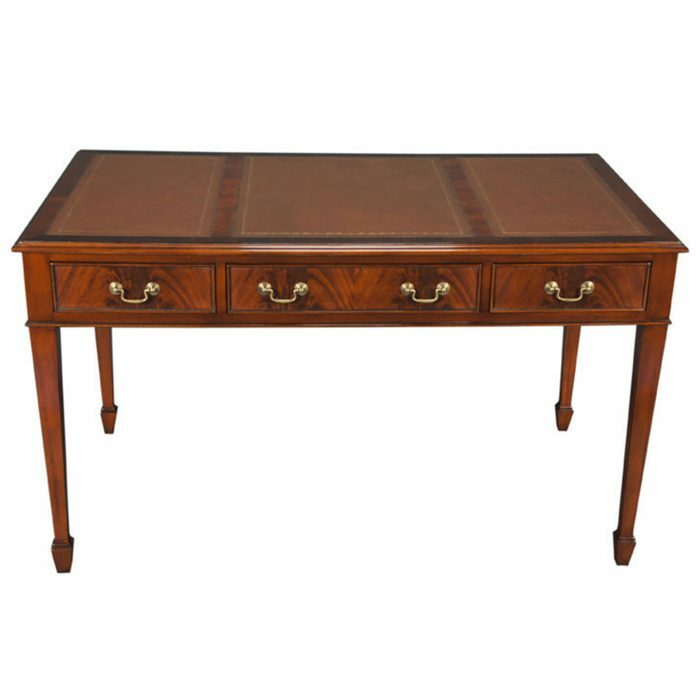 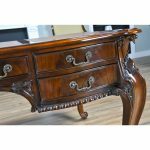 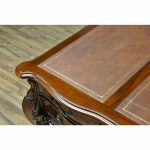 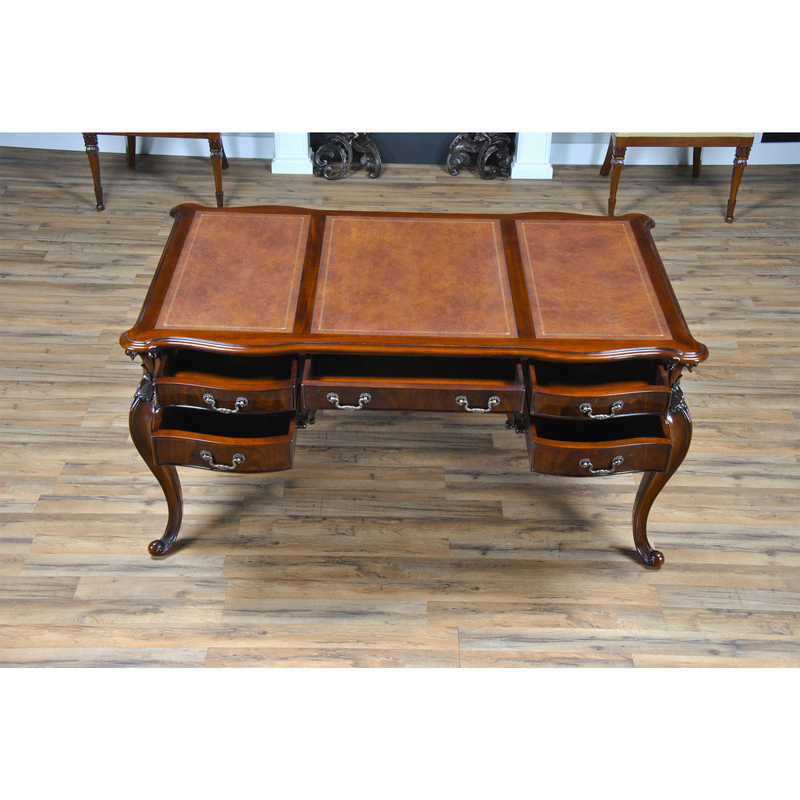 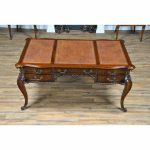 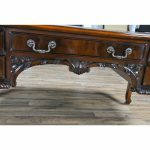 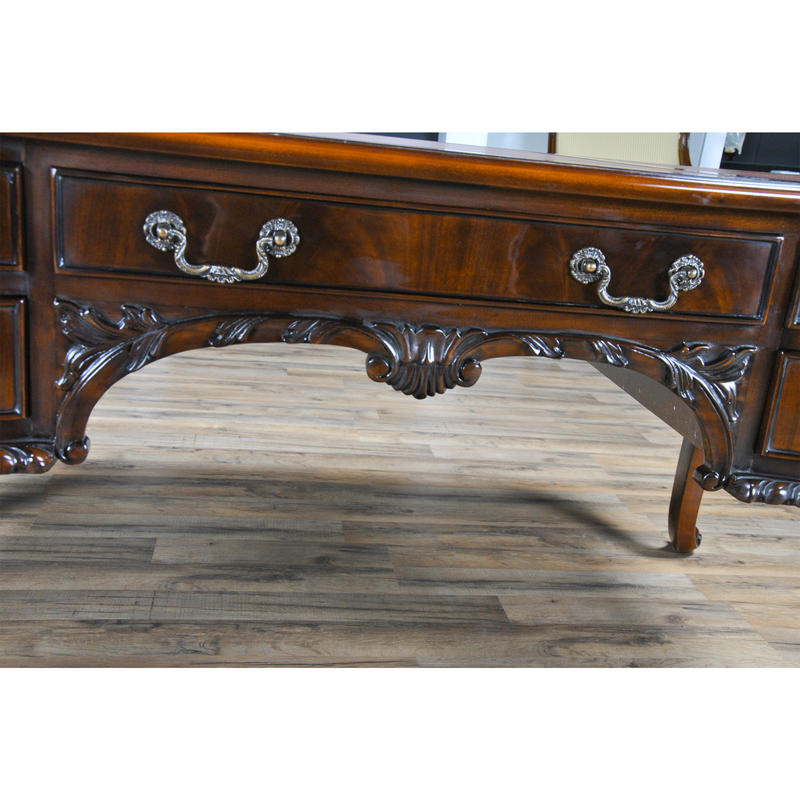 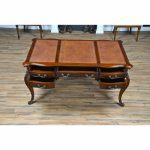 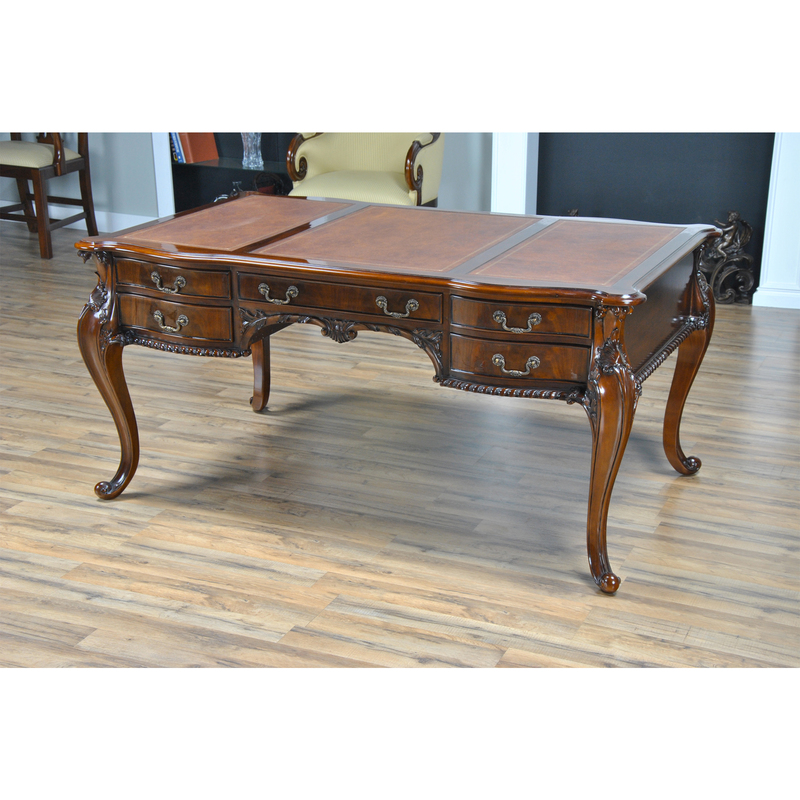 This Chippendale style Mahogany and Leather French Desk is produced by Niagara Furniture. 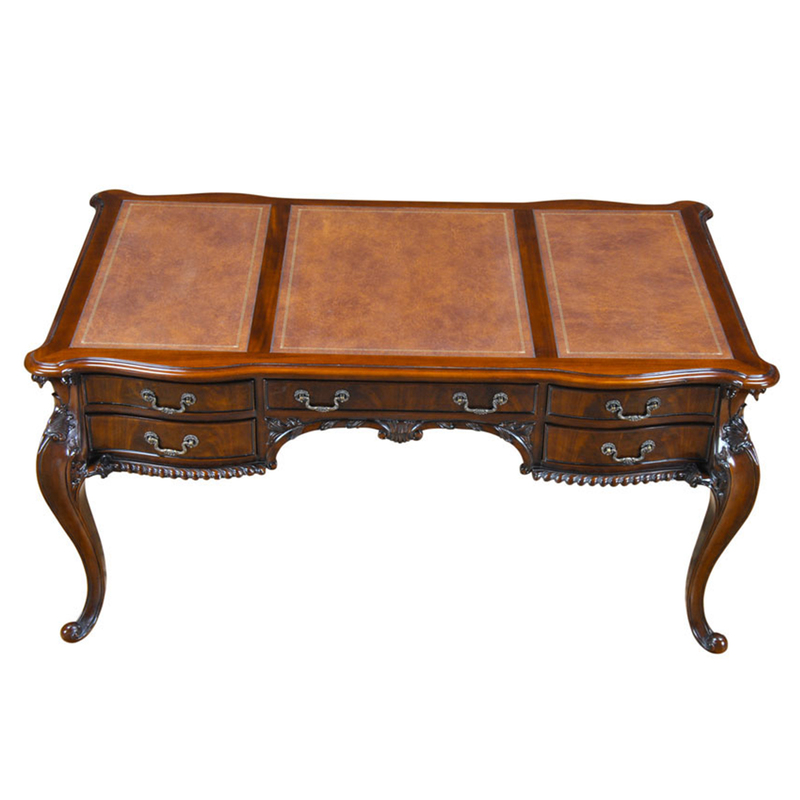 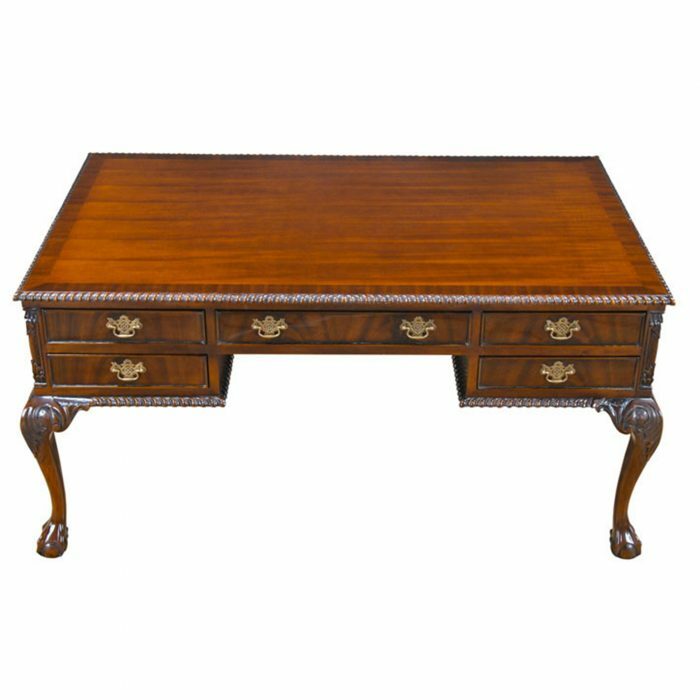 A high quality writing desk that sets the standard for beauty and function among antique reproductions. 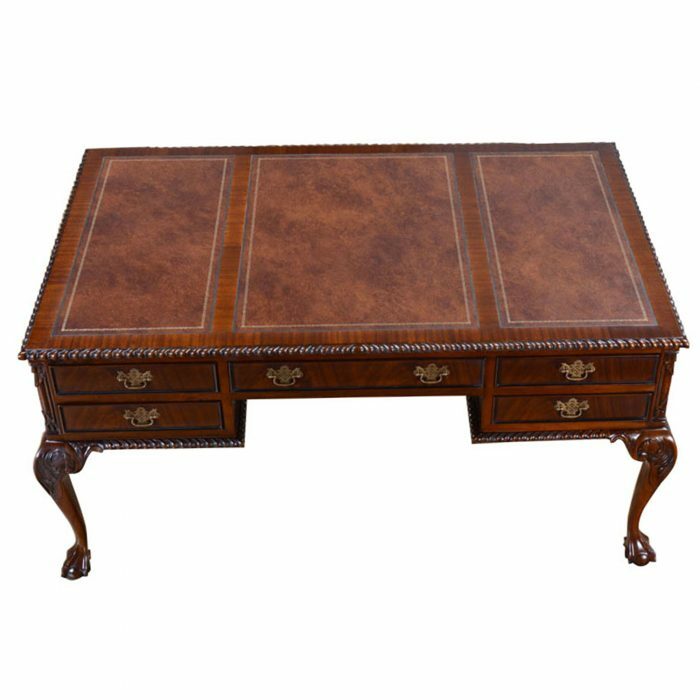 Constructed from the finest grained mahogany the top also boasts three, full grained, genuine leather panels with antiques style gold tooling. 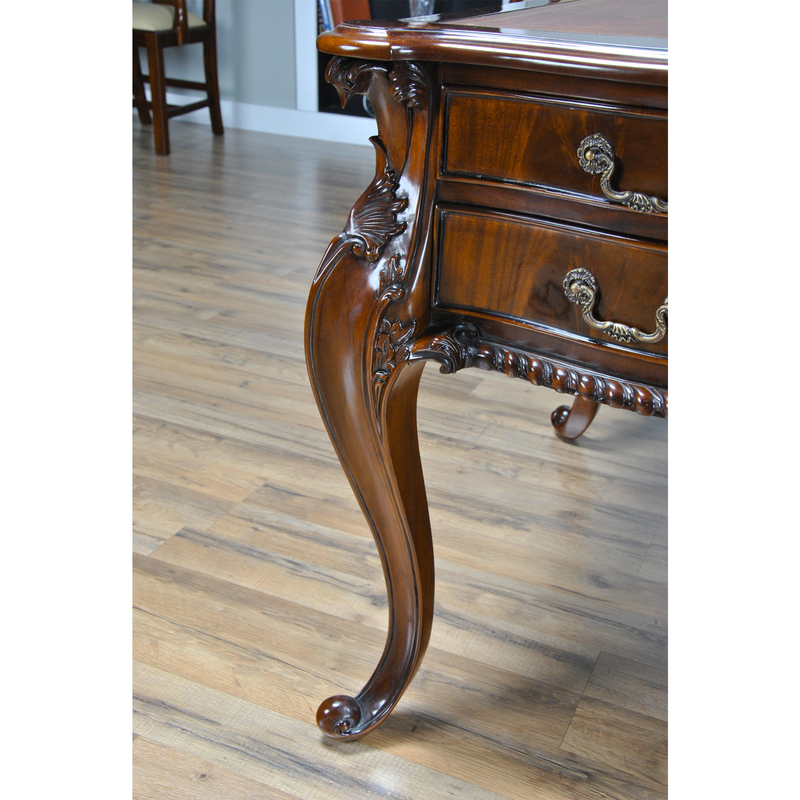 The desk has cabriole legs with carvings at both the feet and knees as well as carvings under the banks of drawers and along the sides. 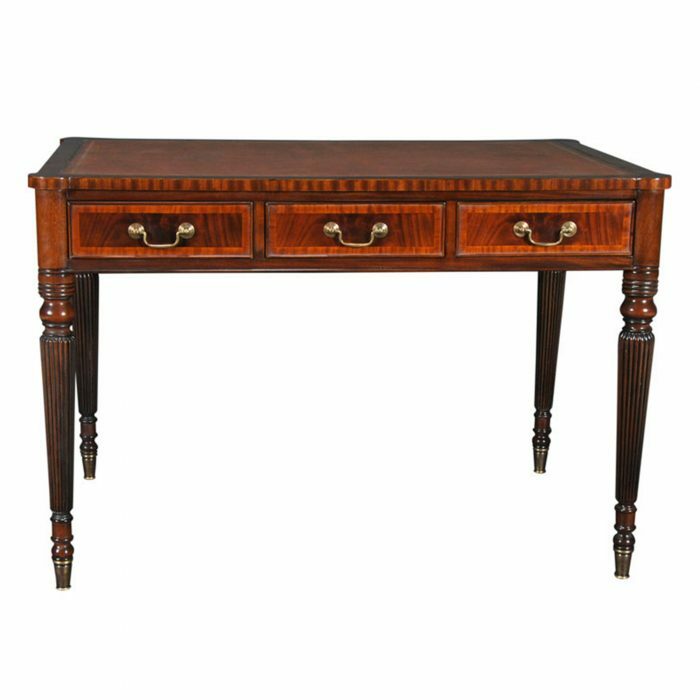 The French Desk offers ample storage with five drawers, the visitor side having five faux drawers in the form of moldings. 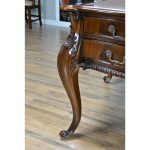 Kneehole is approximately 21 inches wide and 22.5 inches high.